It's like "Caller ID for your Website®". Every prospect visits a website. 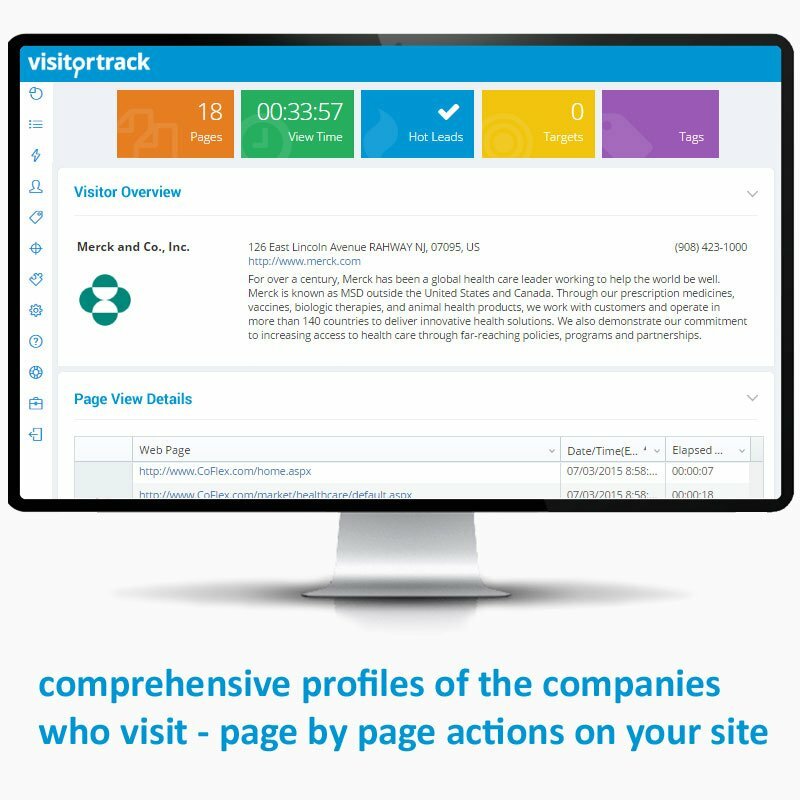 VisitorTrack is designed for B2B website lead generation. 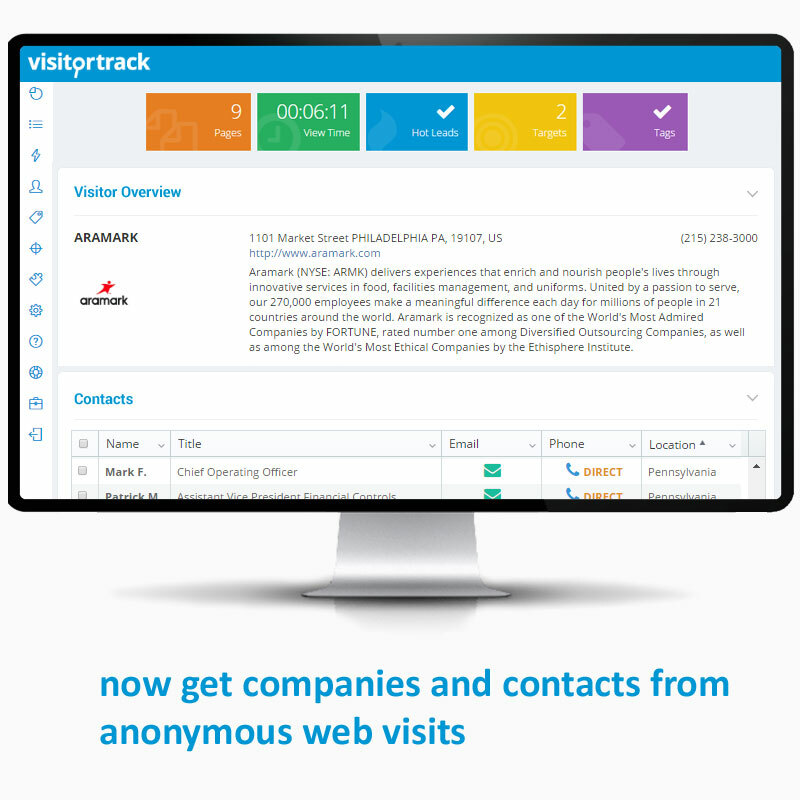 Track, capture and identify the anonymous business visitors coming to your site - without any registration. Get detailed contact records for the people who work there. 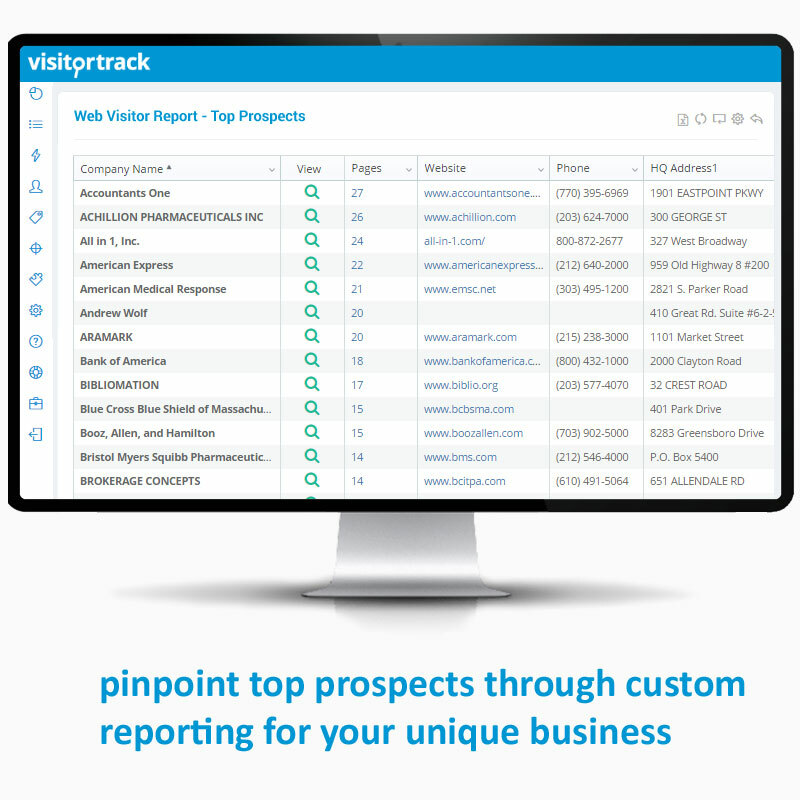 Integrate this into rich reporting or hundreds of web-based CRM, Email and Marketing applications. 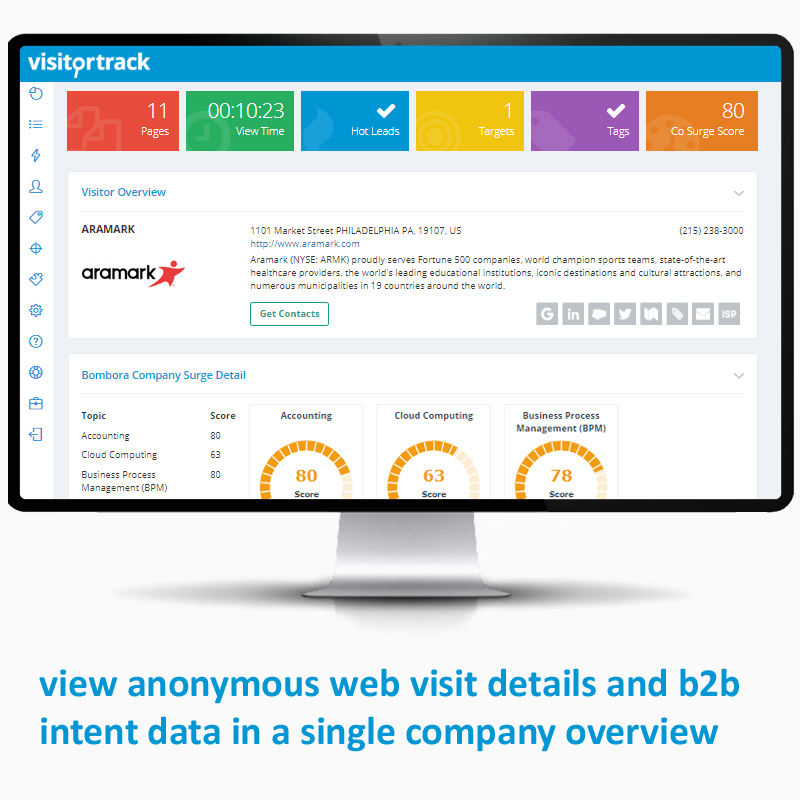 1) VisitorTrack identifies the anonymous business visitors coming to your website. 2) Then, intent data is fully integrated to pinpoint the companies already in-market for your products - before they have visited the website. 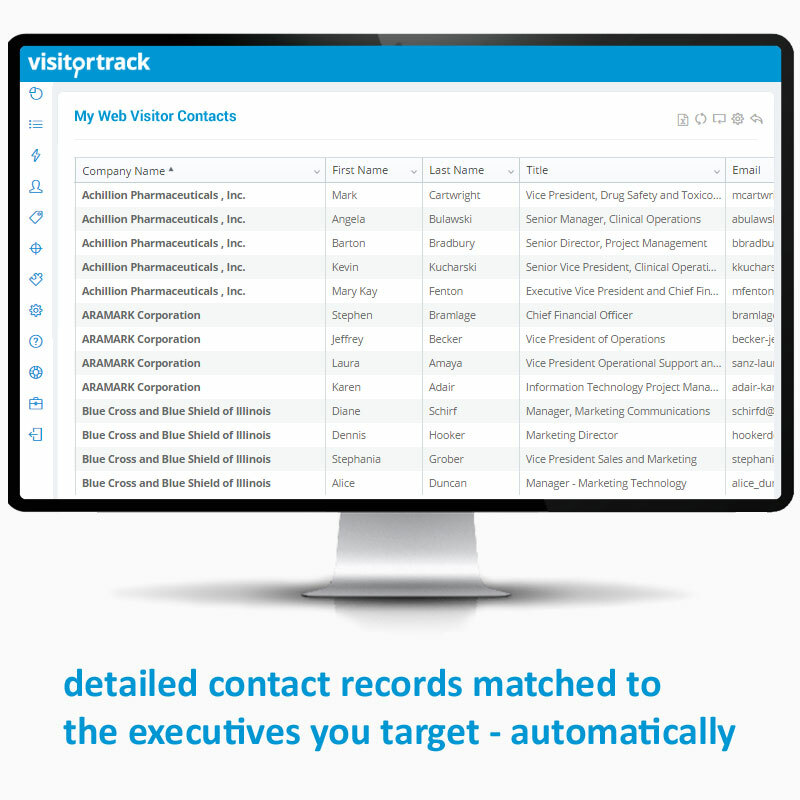 3) Get accurate contact record details matched for the people you target. All this in an affordable package designed for nearly any business. 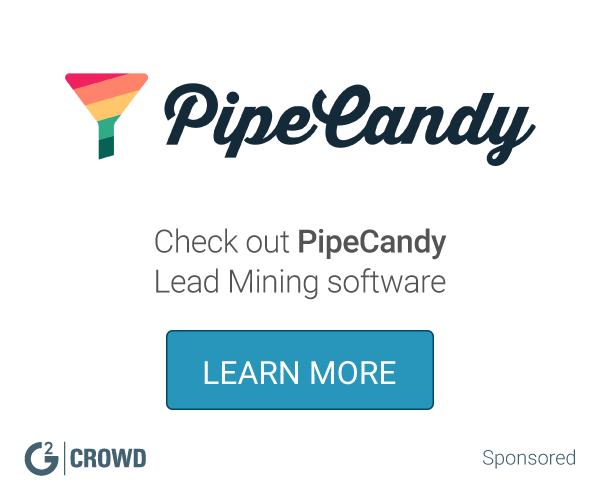 Get a full-access Free Trial for your website to see this Predictive Marketing for yourself. Hi there! 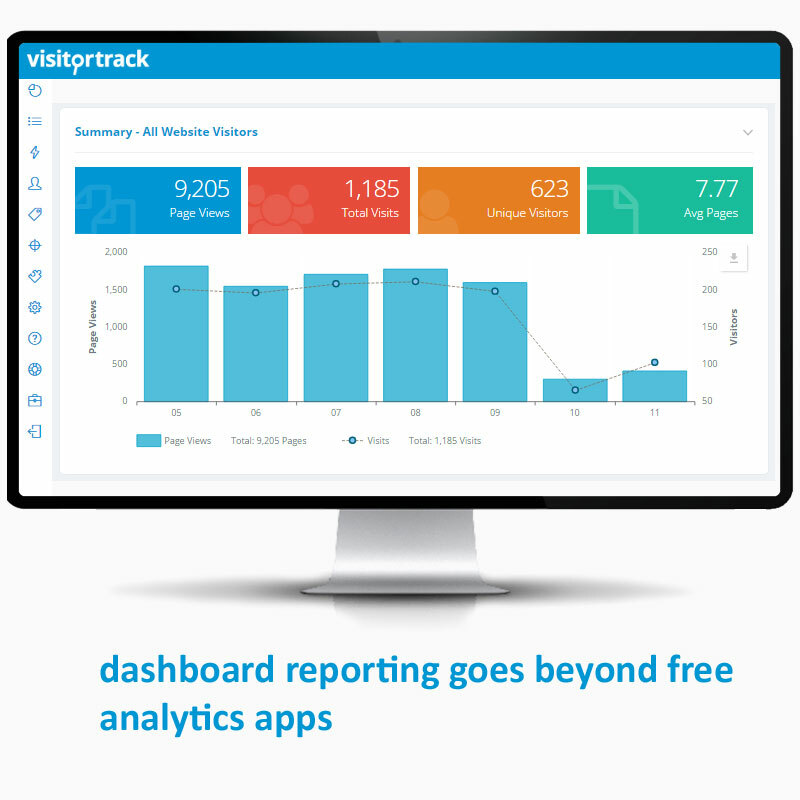 Are you looking to implement a solution like VisitorTrack?